Cheap Rock Guitar Inflates - 12 Ct.
Rock Guitar Inflates - 12 Ct.
Great d�cor or prop for a karaoke party! 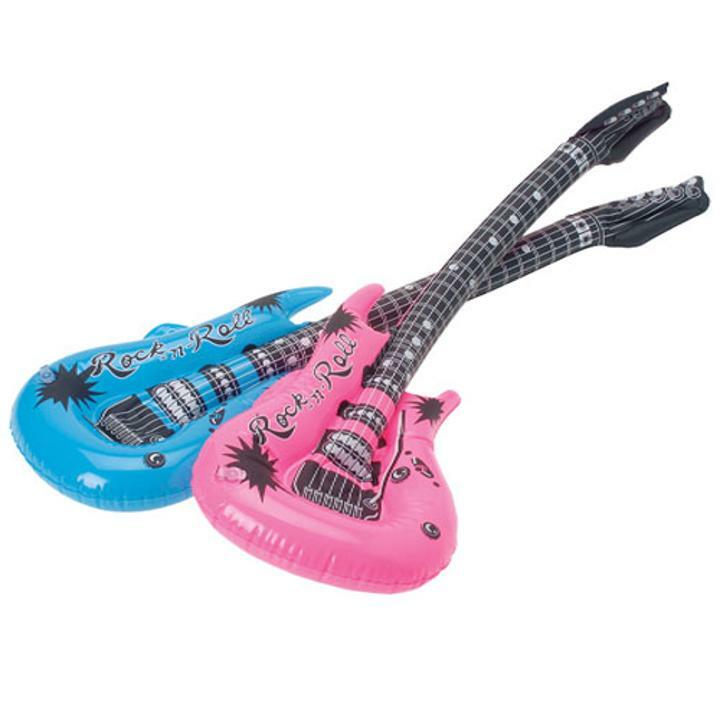 Unleash your inner wild child with these inflatable rock guitars. Pass them out at your next party and transform your guests into mini rockstars. The smaller design makes them easily held by little hands. Play a mean air guitar or use them as decorations for your next rock n roll party. These inflates are sure to excite. Also make great pool toys or party favor giveaways. L: 7.55 in. W: 2.55 in. H: 9.9 in.